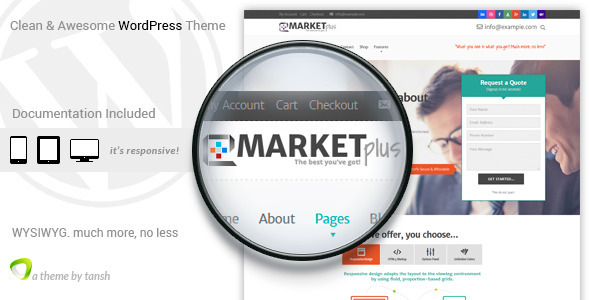 Marketplus is a Marketing WordPress theme. Easy to setup and can be easily customized to suit your needs. - Works for Topbar, slide panel, header, footer, menu dropdown, content etc. 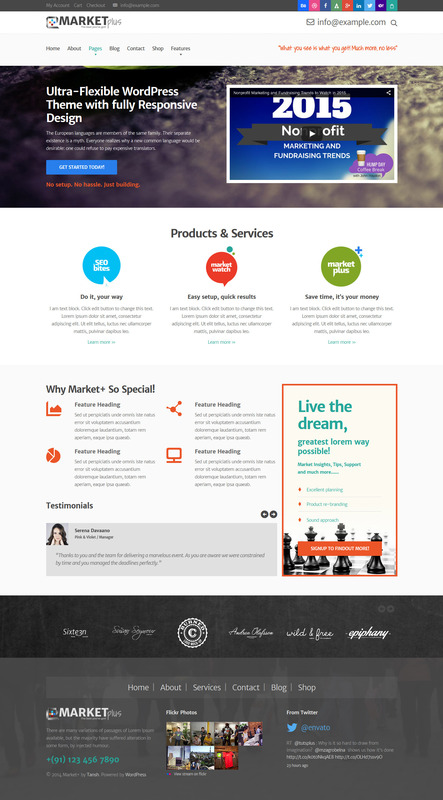 - Theme comes with pre-defined templates for 3 / 4 / 5 column filterable portfolio. Can be with (left / right) or without sidebars. - Portfolio items can also be added via Portfolio Grid Shortcode via page builder (this is without filter). Main Home Page and Graphic files such as hand-drawn arrows, elements used within the theme are included. Images shown in demo are for theme demo purpose only. Always use account you have used to purchase the item while ‘dropping mail’. Alternatively, you can provide ‘purchase code’. Please check help document, useful most of the times . Be descriptive about the query. Provide your URL and WP login credentials if necessary.